With ConceptDraw MINDMAP best collaboration software you are able to collaborate with a workgroup online, document your ideas and discussion and then present your results as a mind map. This tool extends Skype conference call possibilities. Getting Started with Remote Presentation for Skype mind map sample is created using ConceptDraw MINDMAP mind mapping software. 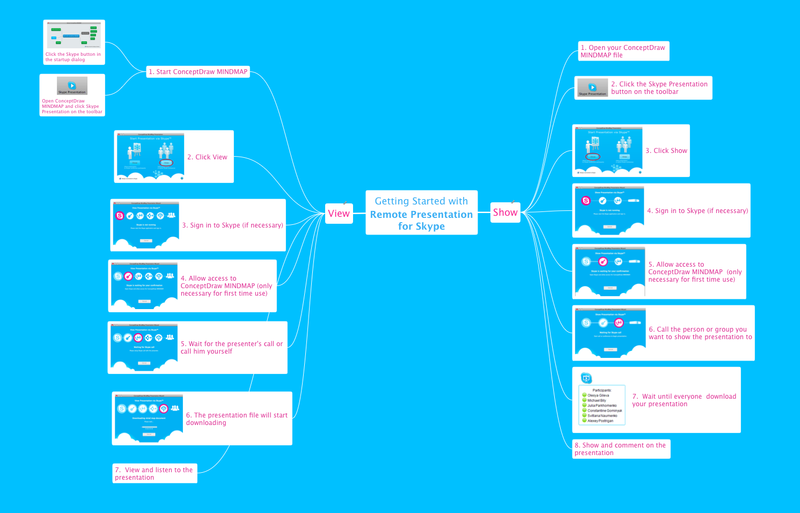 This mind map example helps to make team collaboration via Skype.